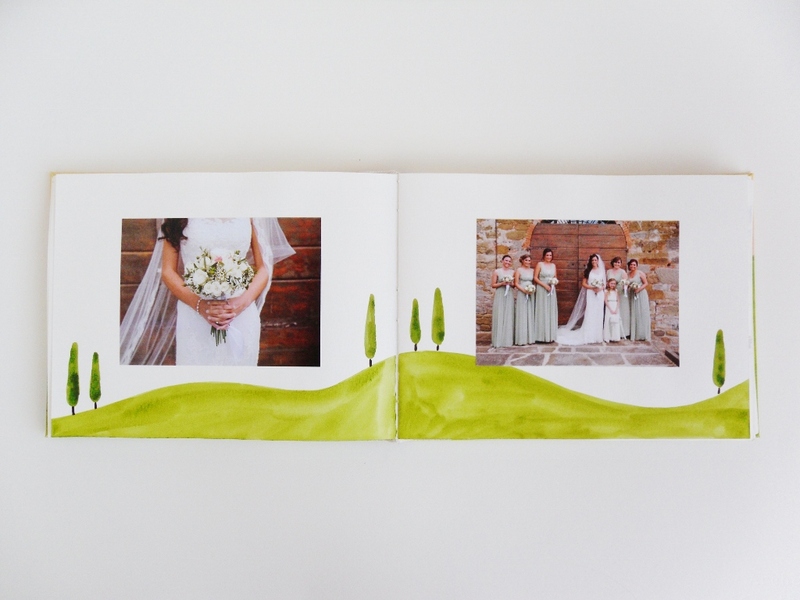 This is the first wedding album I have ever made for a friend and it was a beautiful project to be a part of. 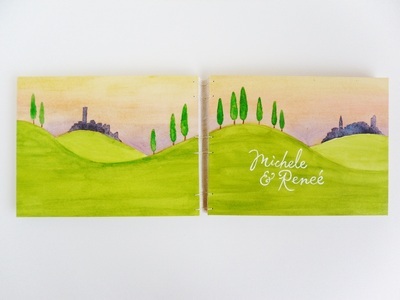 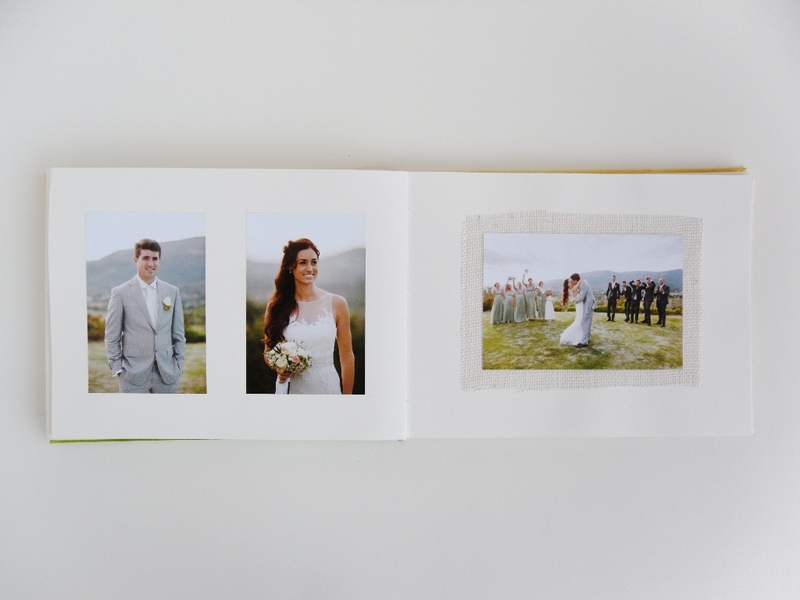 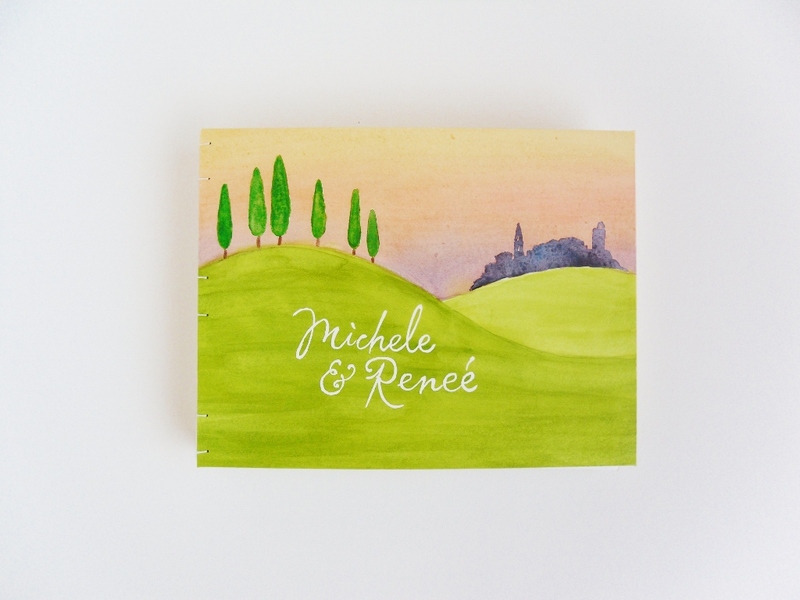 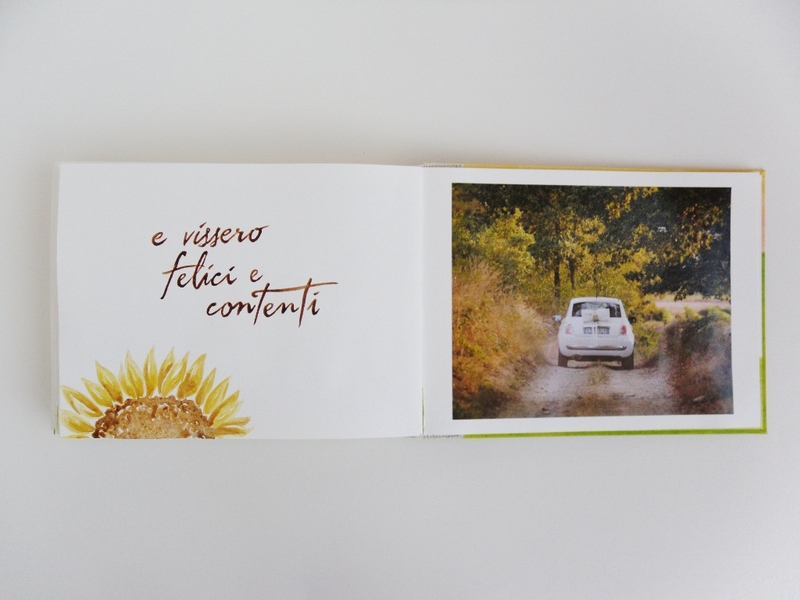 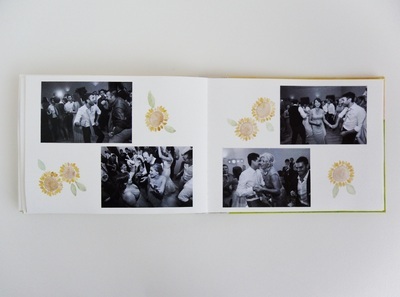 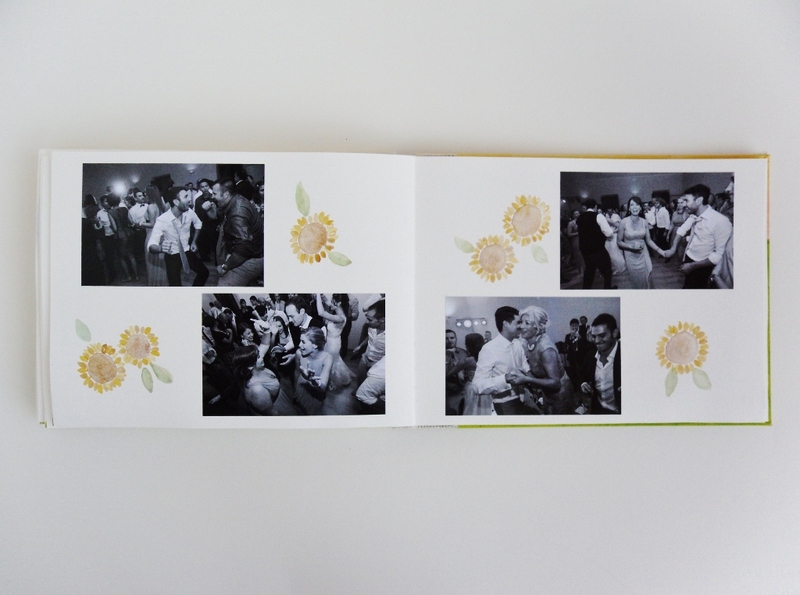 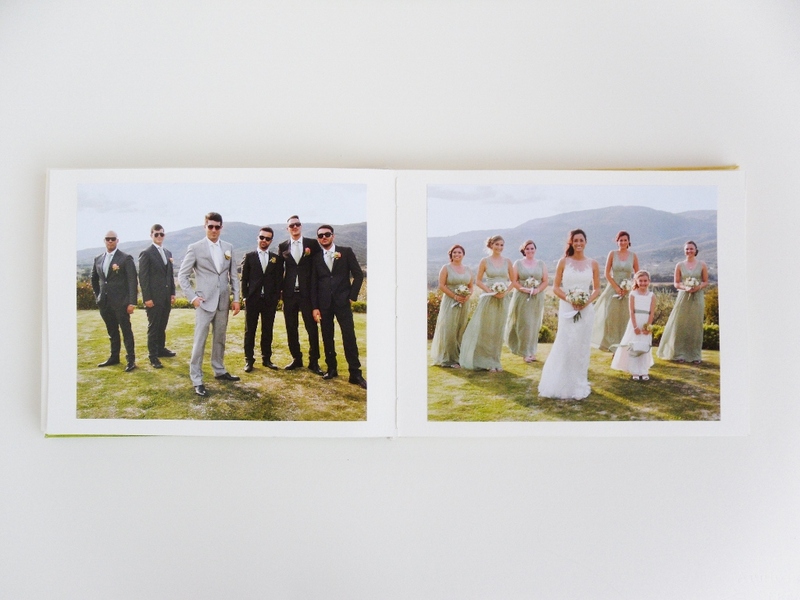 This wedding album was made for Reneé and Michele, a lovely couple who met in my beloved Castiglion Fiorentino, Italy. Their photos were taken by the talented Taylor Abeel. 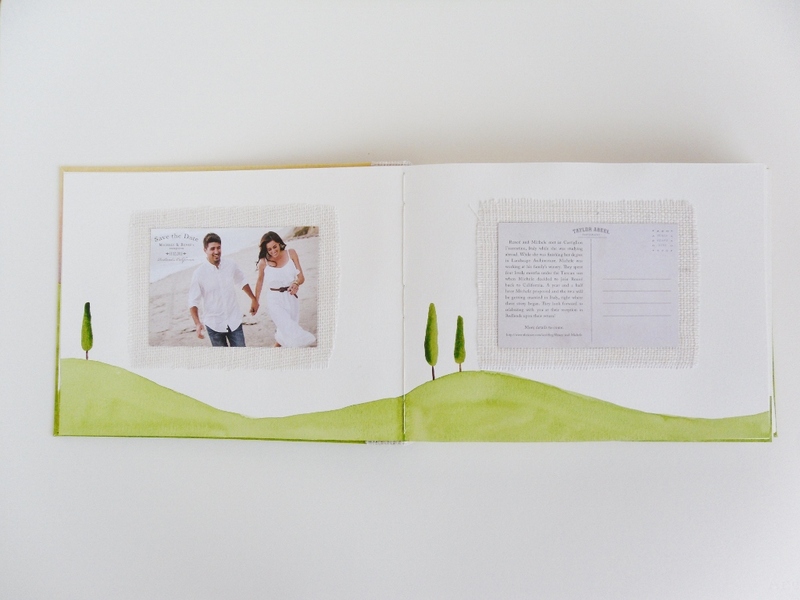 You can read more about the creation of this album on my blog. I wanted the binding to be flexible since the album was so large. 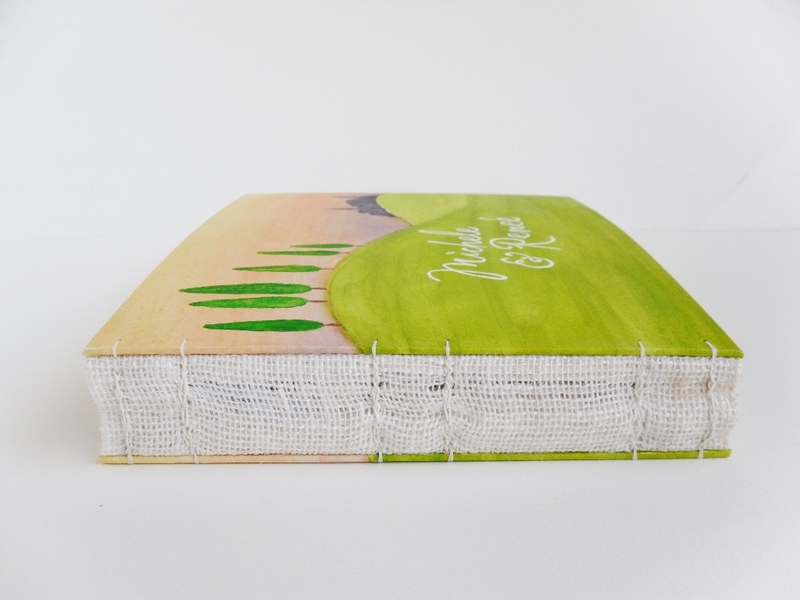 It is bound in a modified coptic stitch and reinforced with burlap. It is covered in watercolor paper and filled with it as well. The photos are also matted on burlap. 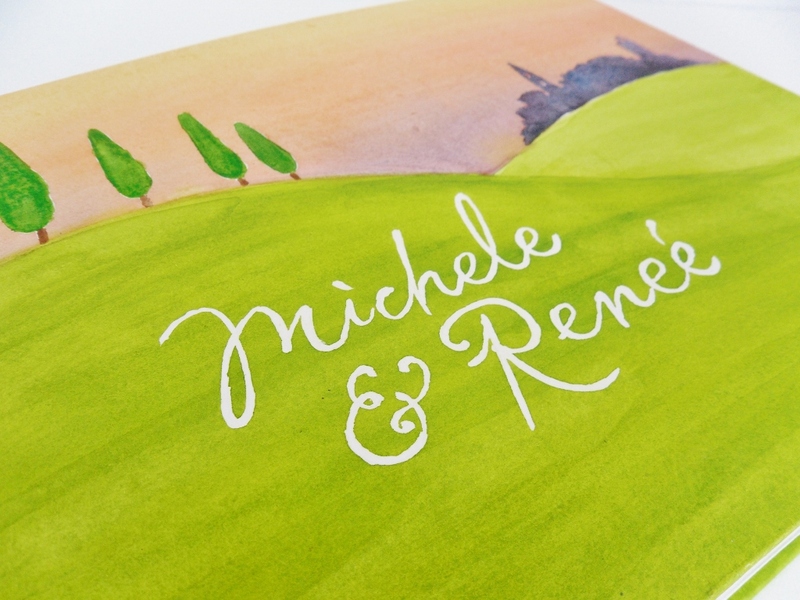 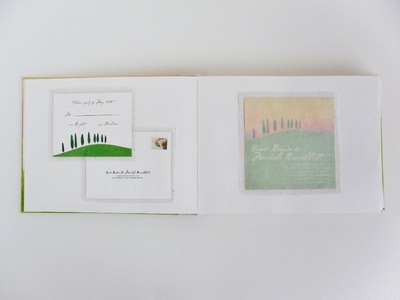 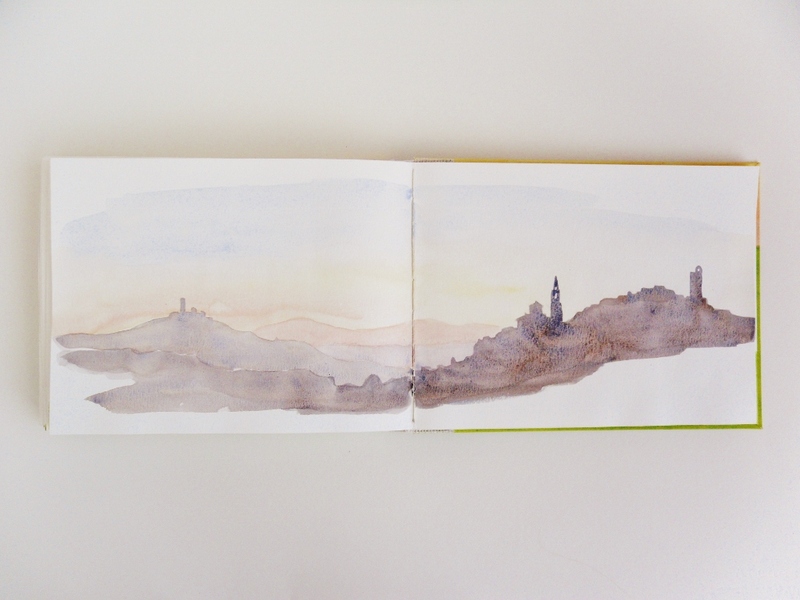 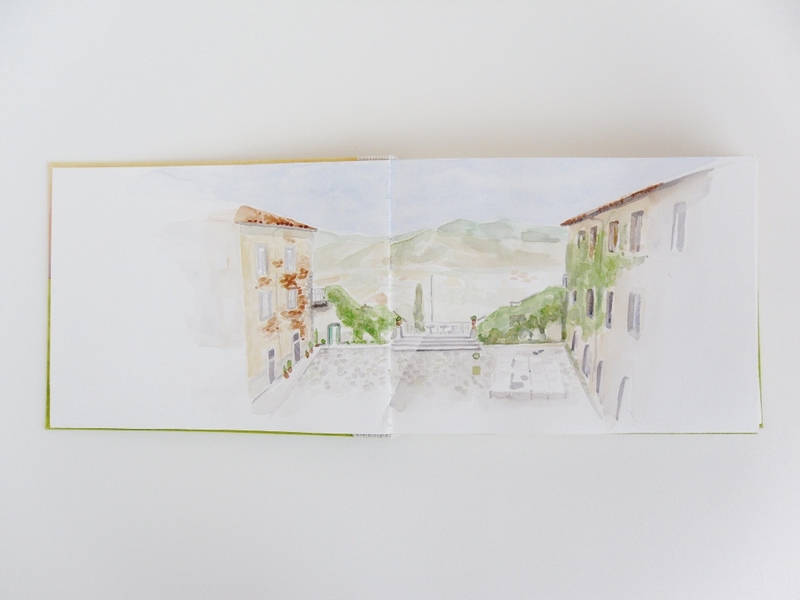 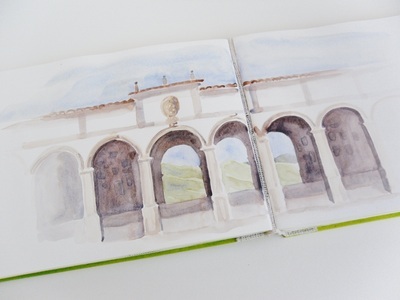 Every page has a watercolor detail, inspired by their wedding invitation suite.